Latest NCW Recruitment 2018 Notification is released by the higher officials of National Commission For Women. The offline application process for 27 Law Officer, Senior Research Officer, Under Secretary, Assistant Law Officer, Section Officer, Private Secretary, Personal Assistant, Research Assistant, Assistant, Junior Hindi Translator, Jr. Accountant, Stenographer, Hindi Typist vacancies is starting from 1st December 2018 and 22nd December 2018. In the below sections, we had provided the information about the ncw.nic.in Jobs 2018. We request applicants who are fascinated by these vacancies, they should apply on or before the end date. While applying for the National Commission For Women Openings 2018, aspirants have to view the necessary details such as educational qualification, age limit, selection process, application fee, salary details, important dates, and steps to fill the application form. 5 years experience in handling service and other legal matters including those in the Courts of Tribunals. Post Graduate degree in Sociology/MSW/Women’s studies from a recognized University. Experience of at least five years in conducting/facilitating research studies/teaching. Possessing knowledge of administrative matters. Three years experience in handling service and other legal matters including those in the Courts or Tribunal. Two years experience in administrative matters. Should possess a speed of 100 words per minute in English Shorthand and 40 words per minute in English Typewriting. Possessing Master degree in Sociology/MSW of a recognized university or equivalent. Possessing sound knowledge of research matter and computer operation. Possessing a bachelor’s degree from recognized University or Institute or equivalent. Five years experience in administrative/Legal matters. Master’s degree of a recognized University or equivalent in any subject with English medium and Hindi as a subject at degree level and one-year translation course from a recognized institute. Officer holding analogous posts on regular basis. Lower Division Clerk with 5 years of service in the grade with experience in cash. Having knowledge of Tally. Stenographer Have passed the skill test on the computer with 10 minutes having a speed of 80 w.p.m. in stenography and transcription 50 minutes English/65 minutes Hindi. Please refer the official notification for age details. Candidates can get the details of the salary which was announced by the officials of National Commission For Women. Please refer the official notification for fee details. Initially, applicants can visit the official site of the National Commission For Women that is ncw.nic.in. In that go to the Advertisements/ Notices/ Tenders section which is at the middle left of home page. Search for the flashing link of NCW Recruitment 2018. Download the NCW Recruitment 2018 Notification. Read the complete details in the NCW Recruitment 2018 Notification. If you are eligible, then take the NCW Recruitment 2018 Application Form in the given format. 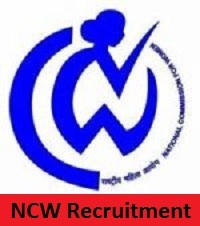 Fill the details in NCW Recruitment 2018 Application Form correctly. Keep visiting Sarkari Recruitment for more fresh updates. Thank You.